New Juulchin Tours is a leading tourism company of Mongolia, which has over 10 domestic and foreign subsidiaries. Presently, New Juulchin Tours cooperates with more than 100 foreign companies and annually hosts about 10 thousand tourists from over 30 countries. In addition, the company is constantly participating in large international tourism fairs such as ITB Berlin, WTM London, Top Resa Paris, ITE Hong Kong, MITT Moscow and ITF Taipei for marketing Mongolia in the global tourism market. New Juulchin Tours is also operating representative offices in Washington, Berlin, Tokyo, Beijing, Madrid and Taipei. New Juulchin Tours is also a leading organiser of international forums and conferences, currently hosting three large annual events. For instance, the company provided its services for the 37th World Congress of Poets, the 11th International Congress of Mongolists, the East Asian Judo Championships, the 5th North East Asian Tourism Forum, the 8th Global Agenda Meeting for Sustainable Livestock, a branch launching ceremony of Louis Vuitton in Mongolia, and the 54th Conference of Directors General of Civil Aviation, Asia and Pacific Regions. In 2017, it hosted an incentive tour for CEOs and Chief Financial Officers by JP Morgan for the first time in Mongolia. According to sources, the tourists returned home with good impressions of Mongolia. New Juulchin Tours also focuses on developing special interest tours. The company traditionally organises an international 100 km marathon in different regions of Mongolia each year. So far, the races have been organised in the Mungunmorit Soum (district) of the Tuv Aimag (province), Baga Gazryn Chuluu of Dundgobi Aimag, Tsagaan Suvarga, and Rashaant Soum of Bulgan Aimag. On the occasion of the 100th anniversary of Roy Chapman Andrews’ historic discovery of dinosaur egg fossils in Mongolia, New Juulchin Tours successfully organised an expedition for 50 tourists of the Explorers Club - a New York-based international multidisciplinary professional society with the goal of promoting scientific exploration and field study. New Juulchin Tours satisfies many requirements such as adhering to the sector’s policy and directions, ensuring the safety of travels and safe environments for tourists, contributing to development of tourism industry, transportation and infrastructure, and gaining experiences. As one of the first tourism companies in Mongolia, New Juulchin Tours has been insured against risks. The company also insures tourists before the journey begins. In addition, the company has its own service network and some of the best sports tour guides. It also offers more than 40 travel destinations - that is why tourists choose New Juulchin Tours. The company is operating under the motto ‘Cherishing Mother Earth, respecting humans and creating outstanding memories through travel’. New Juulchin Tours does not only focus on its present activities, but also works with the vision of becoming a model tour company by 2020 that is eco-friendly, respects national culture and tradition, meets international quality standards, as well as implementing corporate social responsibility. New Juulchin Tours contributes to supporting locals, preserving nature and implementing sustainable development goals. For this reason, it established a local community based eco complex at the Guru Camp in the Terelj National Park, where various projects are realized such as planting trees, making traditional dairy products, providing livestock to herders, promoting Mongolian traditions and making handcrafts. Moreover, it is also implementing these kind of projects in the Khoyor Zagal tourist camp. New Juulchin Tours successfully organizes fan tours to the Olympic Games, we can list: Athens 2004, Turin 2006, Beijing 2008, Vancouver 2010, London 2012, Sochi 2014, as well as the Asian Games such as Doha 2006, Guanzhou 2010 and Football Confederation and World Cups including South Africa 2010 and Brazil 2014. It also allowed Mongolians to travel to Jeju-Island off South Korea in 2009, Hong Kong, Hainan in 2011-2017, Singapore, Dubai, Thailand, Vietnam and Japan. In addition, New Juulchin Tours is one of the companies with the best corporate social responsibility. In particular, the company has established ‘Mazaalai Foundation’ with the aim to protect a few remaining Mazaalai bears living in the Gobi, increasing their population and increase the engagement of tourists. Regarding the achievements and awards of New Juulchin Tours: it has received numerous prizes and awards such as the ‘National Tourism Brand’ prize of the Mongolian National Chamber of Commerce and Industry (MNCCI) and the General Authority for Intellectual Property and State Registration in 2004; Best Entrepreneur Award of the MNCCI for 2005 and 2006, ‘Best Tour Operator Company’ by the Mongolian Tourism Association for 2005, 2006 and 2008, TOP-10 Organization in 2008, ‘Business Excellence Award’ in 2012, ‘Golden Prize’ of Asia-Pacific Association of Commerce and Industry in 2012, ‘Best Inbound Tour Operator’ for 2015, 2016 and 2017 and National Quality Prize in 2017. Introducing international standards for service…. Since 2015, New Juulchin Tours has been working with the aim of introducing international quality standards for its service. So far, the company has received the ISO9001, OHSAS18001 and ISO14001 international standard quality certificates. This achievement is a first for a Mongolian tourism company. By so doing, they are making accurate decisions regarding the fast changing needs of customers and provide high-quality, reliable and safe services in compliance with international standards. As one of the first tourism organisations in Mongolia, New Juulchin Tours in cooperation with the Mongolian National Chamber of Commerce and Industry, the Dutch Senior Expert Association (PUM) and Edelweiss Hotel is conducting a ‘Professional Training Course for Building Tourism Skills’. The main aim of the course is to train professional tour guides, drivers, camp managers and service workers in acquiring service technology and etiquette skills for work in all areas of activity including ger camps and hotels. So far, New Juulchin Tours has the biggest tour bus fleet in Mongolia. In particular, it has five buses with 45 seats, four buses with 30-34 seats, four buses with 19-25 seats, five minibuses with 8-14 seats, Japanese Jeeps and seven other vehicles for their tour services as well as using them for intercity transportation services. New Juulchin Tours constantly conducts intercity bus travel between Ulaanbaatar and Russia's Ulan Ude. The company strictly adheres to service and work safety standards by involving their drivers in work and safety training, as well as constantly conducting technical inspections of their vehicles which are all fully insured. All this, is to minimize the risk of problems arising on a far-distant tour. According to the World Travel & Tourism Council, the Mongolian tourism product is considered as ‘expensive’ compared to other Asia-Pacific countries. The reason is since ancient times, Mongolians have kept their unique nomadic lifestyle and tradition of herding livestock in a vast territory of Mongolia. So, New Juulchin Tours Director Sh.Nergui said, “The nomadic lifestyle of Mongolians is a real magnet for tourists. In this connection, our company is focusing on introducing the Mongolian lifestyle, traditions and culture in depth and helping tourists to immerse themselves into Mongolia instead of showing it to them superficially. These special cultural features help Mongolia to distinguish itself from neighbouring countries, which also becomes a good basis for developing travel and tourism in Mongolia”. Director Sh.Nergui said that the company will diligently work on implementing the idea and formulating new projects to open new doors to promoting Mongolian values to foreign tourists. Most importantly, New Juulchin Tours is competing in a tourism industry by its service quality instead of price. 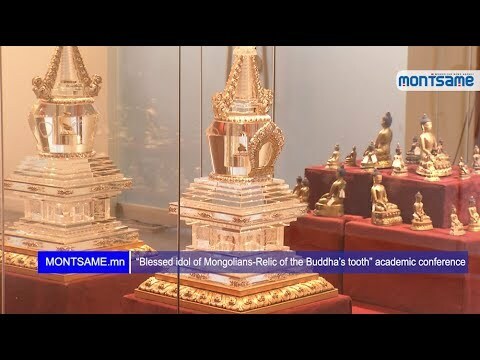 The company has already started promoting Mongolian traditions to the world. With the support of New Juulchin Tours Company, cultural, educational and scientific ‘Pearl Bead’ tour was organised in the Dariganga region. In addition, a new tourism event ‘Ganga Lake Festival’ was also organised. Preserving history and culture and reviving forgotten tradition are the goals of sustainable tourism. So, I would like to express gratitude to New Juulchin Tours for successfully promoting Mongolian traditions to the world. State Honored Cultural Figure and UBS Television Director L.Balkhjav said: “Before, people had to plan, book and organise their own travel. Recently, New Juulchin Tours has provided service four our family tour. It was a memorable tour. Consequently, I realised that there are many benefits and less risks when a professional tour operator organises a trip”. As an authorised ticket reseller for the Olympic Games and one its global partners, New Juulchin Tours successfully organised fan tours to both the Summer and Winter Olympic Games starting with the 2004 Athens Summer Olympic Games. Over the past years, numerous tours were organised for Turin 2006 Winter Olympic Games, Beijing 2008, Vancouver 2010, London 2012 and Sochi 2014. After initiating the ‘Sport Tour’, the company also organised other fan tours to the Asian Championships and the FIFA World Cup; for instance, fan tours to the World Cup in 2010 with 30 fans and in 2014 with 60 fans. The increasing number of tourists proves that New Juulchin Tour has already met the international standards and requirements in terms of service, safety policy and quality standard. Moreover, it offers a wide range of tours with many options. For instance, New Juulchin Tour allows tourists to choose their desired trip from many options such as sports tours or holidays for children, for religious pilgrimages, and to select from a range of destinations ranging from Asia, Europe to tropical countries; whoever you are and wherever you plan to go New Juulchin Tour will guarantee unforgettable memories!